Integrity testing using the SLD method. A reliable status quo! Only expert and impartial checking of roof surfaces ensures a reliable and objective status quo. An independent SLD expert confirms for our customers that the roof surface has been tested for proper function and that damages have been detected or that preventative treatment is possible. Sealing should thus ideally be inspected for damaged areas or design deficiencies at the very same time that acceptance or handover of industrial facilities takes place. 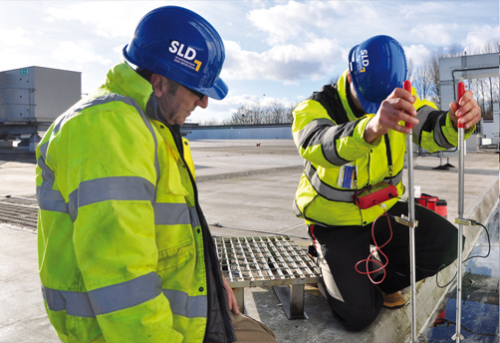 The classic SLD quality testing for new buildings, property handovers or the prevention of damage.